A prestigious location for the most extraordinary events, from 10 to 2,000 people, the Monte Carlo Congress Centre is the perfect place to experience the style and sophistication of Monaco. Whether you’re hosting a conference, an incentive or an event, trust our superbly equipped, newly renovated facilities and our world-famous service to make every occasion seamless and unforgettable. Reflecting the expectations of a world-class capital city, the Monte Carlo Congress Centre is proud to offer professional meeting facilities supported by a comprehensive array of professional and state-of-the-art services: such as the WiFi connection in all the meeting rooms and translation booths. Our event planners offer an expert’s knowledge in planning events that are unparalleled successes. 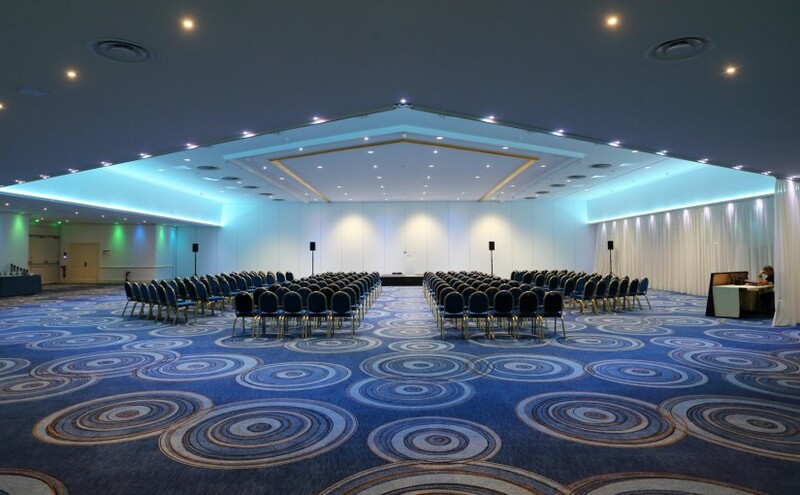 The meeting venues include flexible meeting rooms, some with natural light, dedicated boardrooms, and one of the largest ballrooms in the French Riviera. Designed to host an executive meeting for 10 or a professional conference for 900, we make certain everything you need is at your fingertips. The Congress Centre’s certified meeting professionals are on hand to organize and oversee the crucial details that transform a good meeting into a great one. Support services from PSAV, one of the world’s leading audio-visual companies ensure that every attendee can see and hear your dynamic presentations. 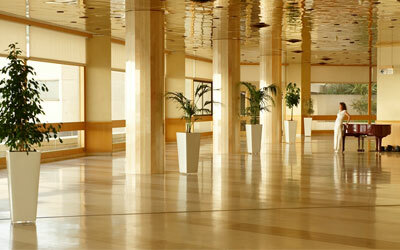 The main ballroom is 15,135 square feet, with a ceiling height of 14′ 10″ and no pillars. It can be divided into two equal parts with a soundproof air wall. The room is very well equipped for technical production setups, with translation booths, high electrical power supplies, 16 hidden hoists in the ceiling to suspend trusses, and a large, movable theatre stage with backdrop curtain and dance floor. 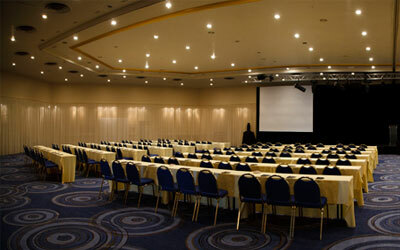 The Salle d’Or can accommodate 900 persons theatre style, or 700 classroom style. Overlooking the Mediterranean Sea, the Galerie Cristal offers almost 7000 square feet of space to accommodate up to 500 guests for a cocktail reception or 16 booths, each 90 square feet, for a trade show exhibition. A V-shaped room of 3300 square feet that can be divided into two sections with a soundproof air wall. 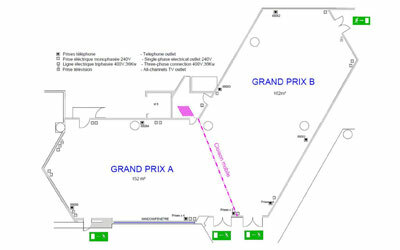 Grand Prix A offers natural light, while Grand Prix B offers artificial light and is ideal for multimedia productions.